Based on stable and essentially drift-free electrometer technology, this sensitive ion chamber instrument has high sensitivity for alpha and low-to-high energy beta particles, and to gamma and x-ray radiation. The compact and lightweight Digital Cutie Pie is useful for measuring exposure and dose rates, determining shielding effectiveness, checking source containers, monitoring radiation areas, and checking results following decontamination procedures. The unit contains an air ion chamber coupled to a solid-state MOSFET input electrometer with built-in A-D converter. Readout is in mR/hr or mR. Rate range is 0.1 mR/hr – 9.999 R/hr in a single range. Dose range is 0.01 mR – 99.9 R in a single range. Accurate air equivalence is assured by 180 mg/cm2 graphite-lined methacrylate walls. A thin (0.5 mg/cm2) Mylar window allows high-sensitivity readings of alpha and low-energy beta such as C-14. Ion chamber survey meters are highly stable over time, making this instrument useful to reliably measure calibration sources, and radiation therapy around machines and sources. 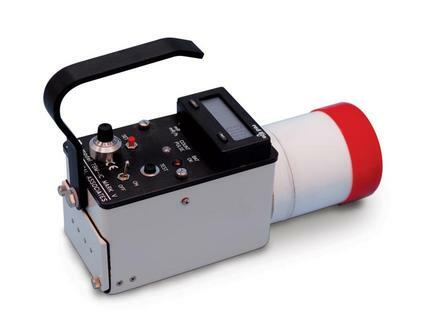 Because of their energy independent response, ion chamber survey meters are recommended for any dose rate measurements made for regulatory compliance (i.e. licensing, state regulations).